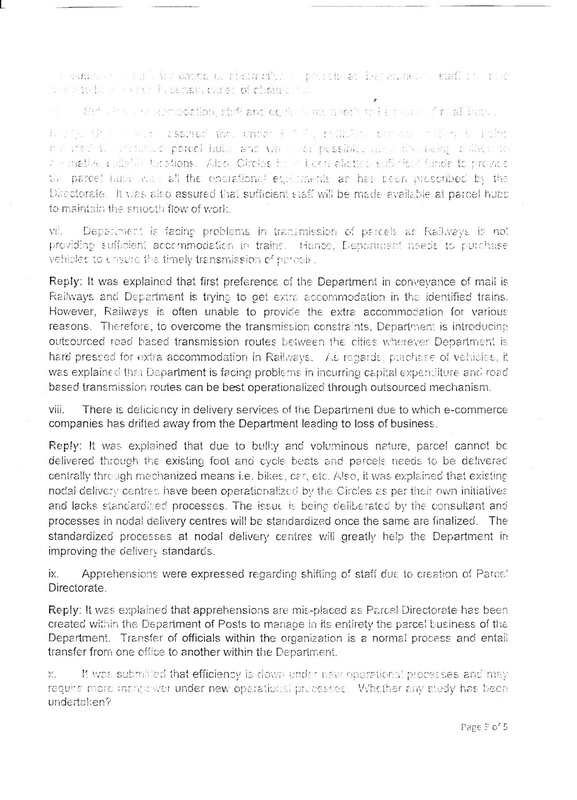 The responsibility of fixation of TRCA in the new TRCA matrix with effect from 1.7.2018 rests with the Divisional Superintendent of Post Offices/RMS units for all GDS working under their jurisdiction. 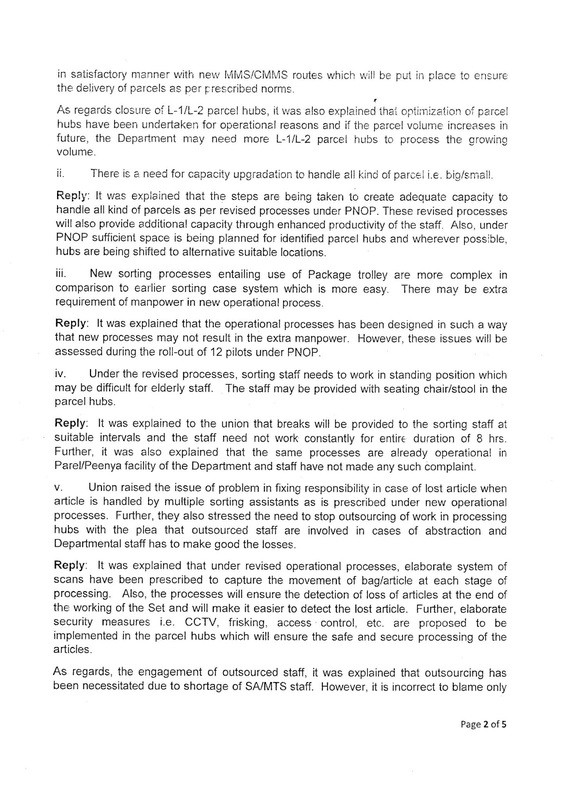 In respect of GDSs working in independent units like Gazetted HOs in charge of Senior Postmaster/ Chief Postmaster, the fixation will be done by the Senior / Chief PM. 2. The respective authorities shall fix the TRCA of all the GDSs under their jurisdiction with reference to their existing work load, Basic TRCA drawn as on 1.7.2018 and send the names of GDSs with a statement of fixation of TRCA in the new TRCA matrix as on 1.7.2018 as per the given instructions. 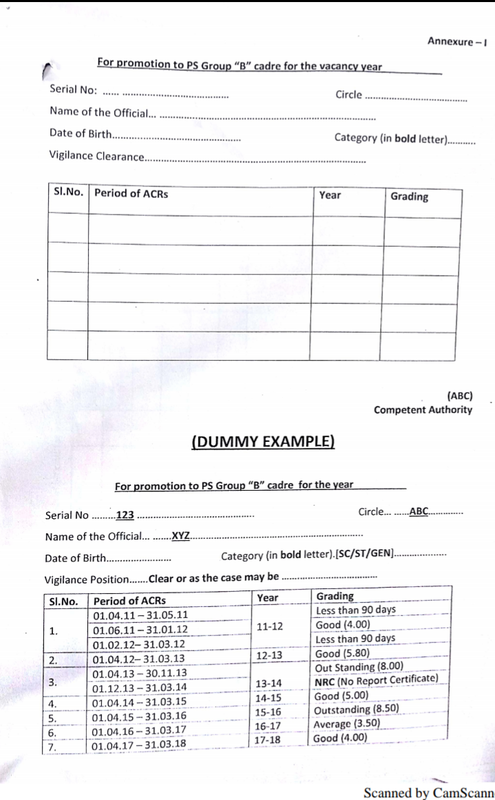 Obtaining undertaking from the GDS as per proforma in Annexure IV is pre-requisite for payment of arrears. 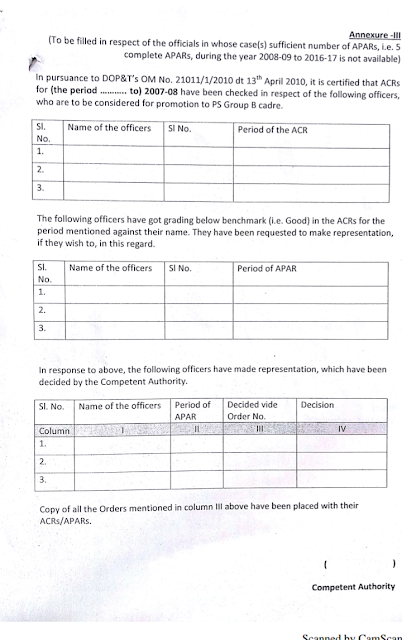 The undertaking obtained from the GDSs should be kept in a separate guard file in the Divisional office which should be preserved permanently. 3. Any excess payment made on account of arrears or wrong fixation of TRCA in the new TRCA matrix will be the responsibility of the Drawing Disbursing Officer. The officials at fault shall be made accountable, in case of any court cases on over payment of arrears / wrong fixation of TRCA. 4. The work relating to merging of different TRCA slabs with work load less than 4 hours, and those having workload of 41/z hours should be completed and establishment orders to the effect should be issued before 30 June 2018. The revised TRCA slabs as per Table 1 of this OM shall take effect from 1.7,2018. 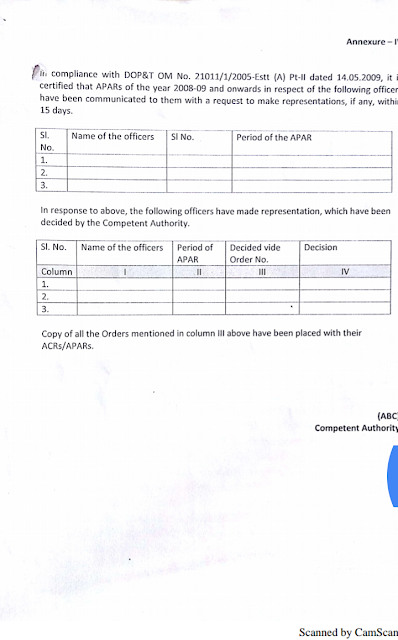 In case of more than one ABPM is working in a Branch office/ Dak Sevaks in departmental office, those ABPMs/ Dak Sevaks should be assigned designation as ABPM I/ABPM II/ABPM III/Dak Sevak I/Dak Sevak II etc. 5. The Divisional Superintendent shall constitute a special cell, if required, for the purpose. Similarly, the DDOs shall draw the payment from 1.1.2016 to 30.6.2018 by preparing due drawn statement and after adjusting the TRCA including DA already paid and arrange payment. 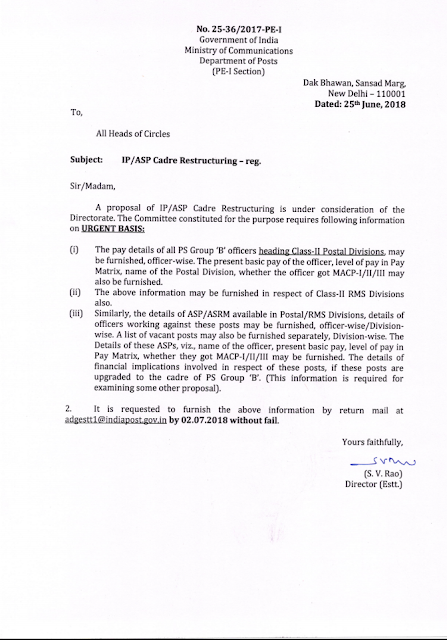 The calculation of arrears according to instructions at Para-6 may be initiated immediately so as to ensure payment latest by 15th July 2018. Likewise, the process of fixation of TRCA in the new TRCA matrix as at para 2.2 may be completed before 25th July 2018. With regard to the payment of arrears, an undertaking in the prescribed format (Annexure-Iv) should be obtained from each Gramin Dak Sevak and kept on record before disbursement of the arrears. ABPM for BPM work – Rs.75/- pet day subject to a maximum of Rs.1950/- per month. The above rates will be for combination of duties of two or more posts borne on the establishment of the concerned Post office. 7. 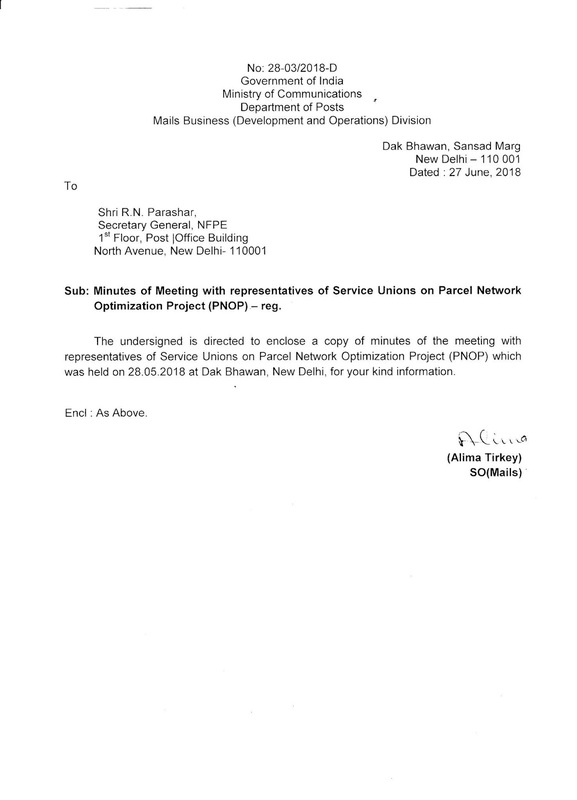 The Regional Director of Postal Services/ Postmaster General shall carry out verification of 10% fixation of TRCA cases while inspecting the Divisional Office. 8. The Circle Postal Accounts Office shall carry out cent percent verification of fixation of TRCA, consequent on revision, by 31.12.2018. Discrepancies, if any, be got settled on the spot. Excess arrears due to wrong fixation shall be listed and reported to Regional Director of Postal services/ Postmaster General/Chief Postmaster General concerned. 2. NPS currently manages corpus of 58.50 lakh people in State and Central Government. 3. Only Tier I Active NPS accounts are considered for the analysis. 4. Central and State Autonomous Bodies are shown under Central & State Govt. respectively. 7. 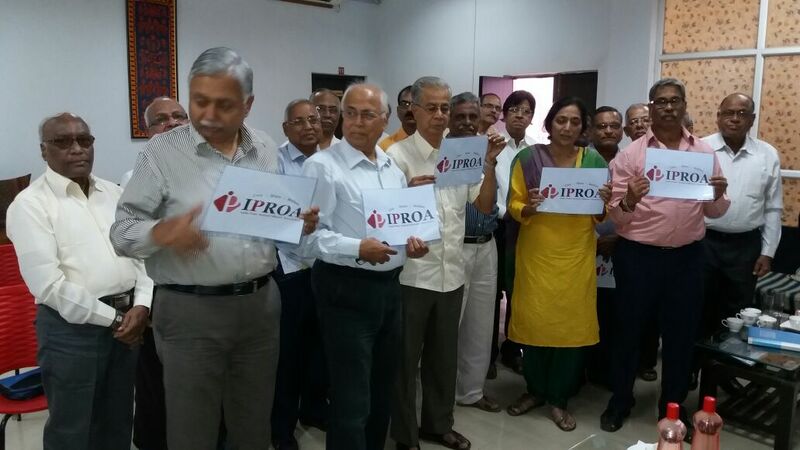 The age of Subscriber is calculated based on end date of the month in which his/her PRAN has been generated. PROCESS OF CASH TRANSFERS BETWEEN OFFICES AND BANK IN SAP ECP TO BE CHANGED WEF 29/06/2018 AND USER MANUAL IS ATTACHED. 1.Initiation, approval & confirmation all within ZFFV50 hence no inbox business workflow. 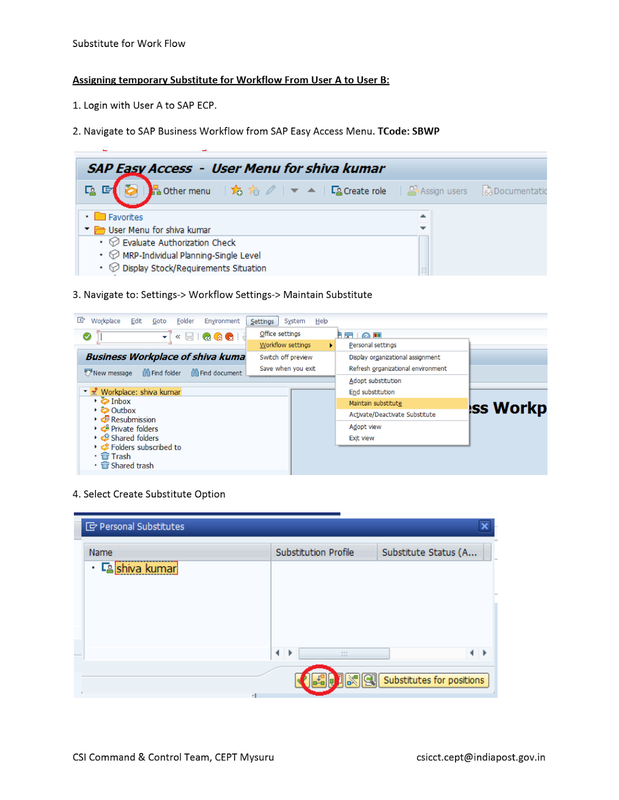 2.No changes required in ZFWF as the same configuration is used in new process. 3.In case of any issue, please verify with roles and ZFWF before raising service desk ticket. 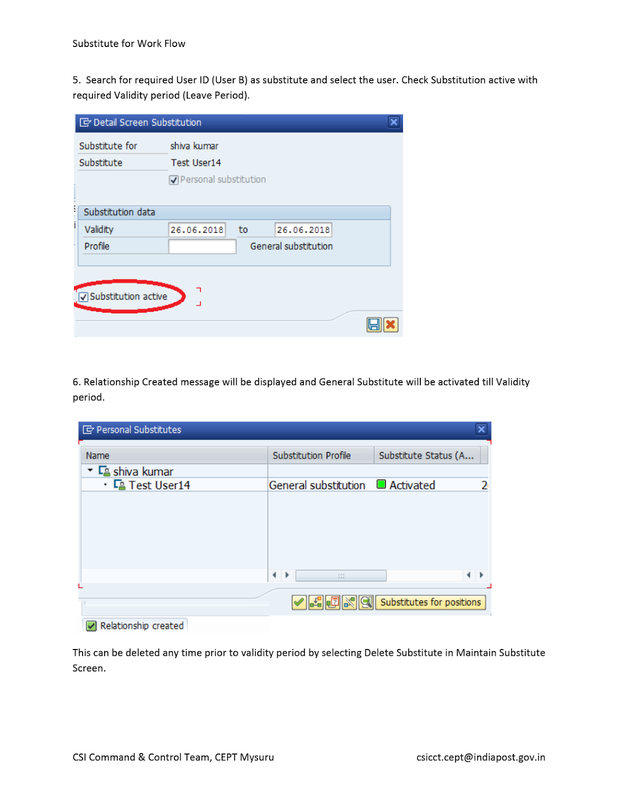 4.Process of assigning substitute is also attached which can be used while Treasurer/Post Master leaves. 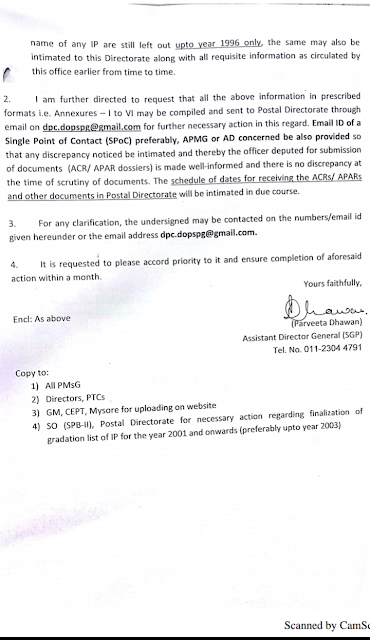 Students of Classes 6 and 9, and who have a passion for collecting stamps, are eligible for Deen Dayal Sparsh Yojana, a scholarship for promotion of aptitude, research in stamps as hobby by the postal department. 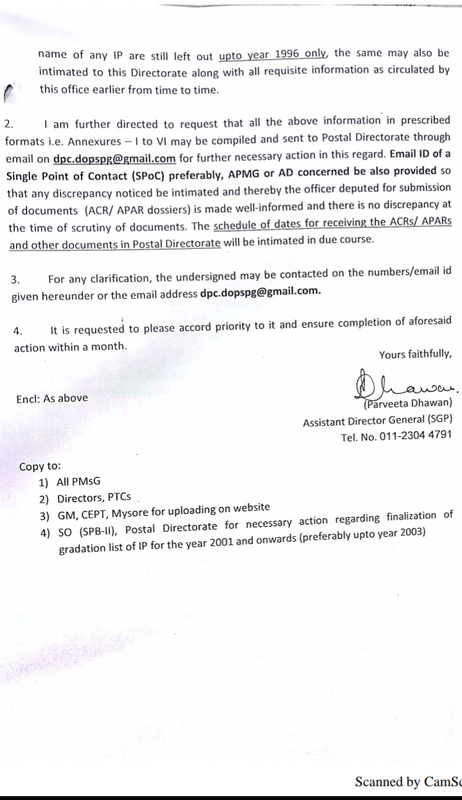 A press release by the Postal Department on Thursday said that students who have secured more than 60% in final year examinations and who have a fixed philately deposit of Rs. 200 are eligible for the scholarship. 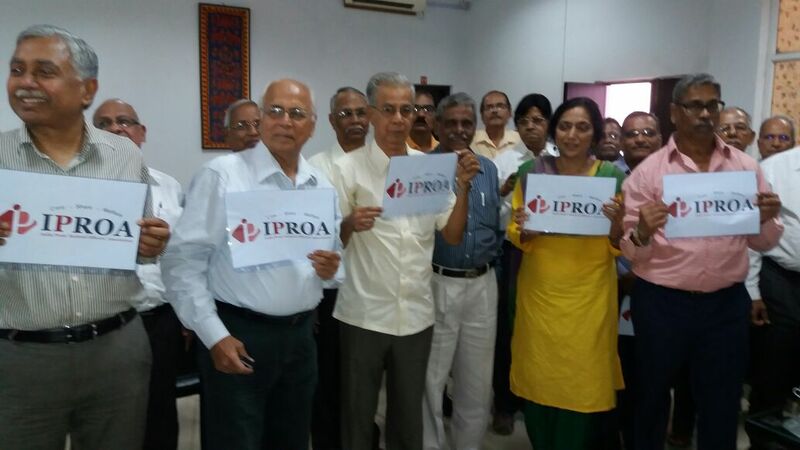 Applicants would be screened through a quiz and then finalised by their performance in Philately project. Selected students are paid Rs. 500 every month for an year. Interested students can send their applications through speed post or registered post to The Postmaster General, Vijayawada region, Near Gandhi Nagar post office, Vijayawada-520003. Last date for sending applications is July 20. 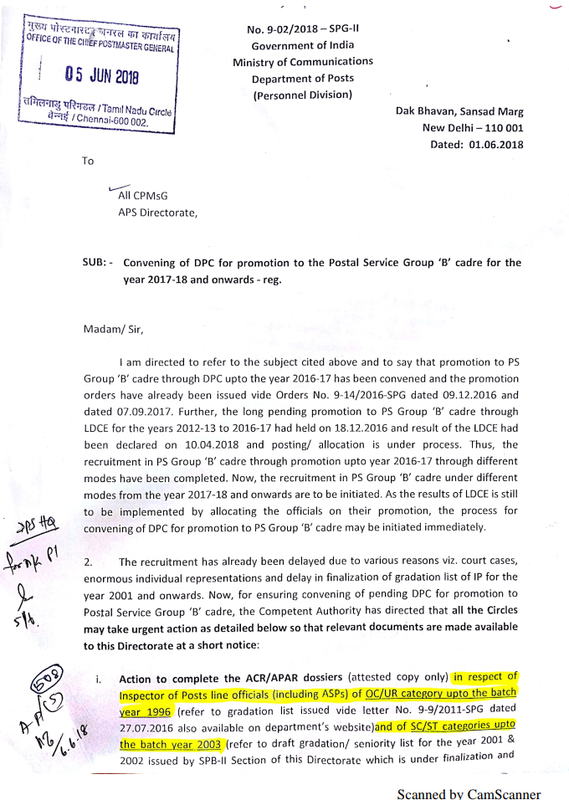 Convening of DPC for promotion to the Postal Service Group'B' cadre for the year 2017-2018 and onwards- reg. 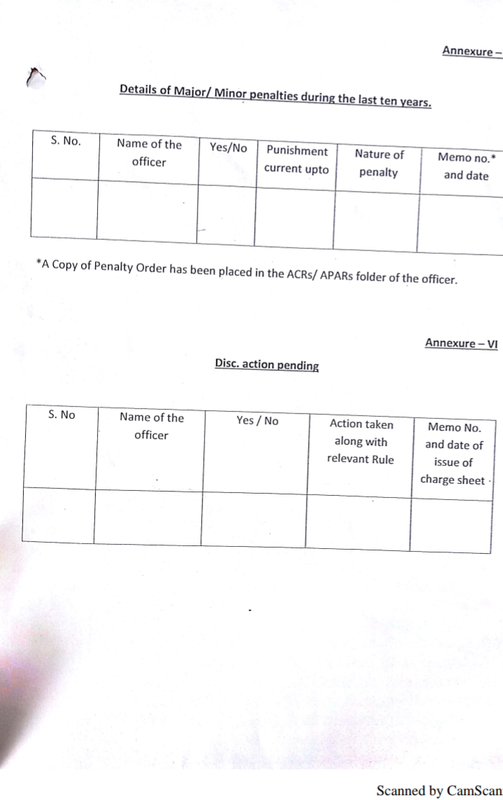 The Central Information Commission (CIC) has held that it is the human right of a person accused of sexual harassment in his capacity as a citizen and accused under the RTI Act and under the principles of criminal justice, to get all the related information to defend himself in a penal proceedings while imposing a penalty of Rs 25,000 on a Public Information Officer for denying the information to an officer accused of sexual harassment at workplace and recommended disciplinary enquiry be conducted against him. 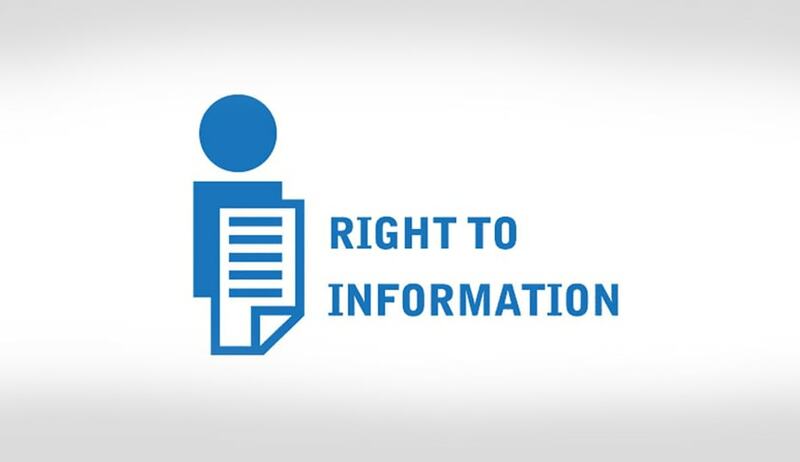 “It is the human right of the appellant in his capacity as a citizen and accused under RTI Act and under the principles of criminal justice, to all the related information to defend himself in penal proceedings. The expression ‘human rights’ is defined in Section 2(d) of the Protection of Human Rights Act, 1993. “human rights” means the rights relating to life liberty, equality and dignity of the individual guaranteed by the Constitution or embodied in the International Covenants and enforceable by courts in India,” said Acharyulu. “There are, in fact, two human rights—one, right to defend himself in penal proceedings and second, right to information to prepare for that defence. These two human rights are founded on a) principles of natural justice and due process, b) principles of criminal justice, c) the provisions of SHW Act of 2013, d) the provisions of RTI Act 2005,” he added. The CIC was hearing an appeal moved by an officer facing an inquiry on a complaint of alleged sexual harassment. He had sought information on 15 points, including copies of Statements of the named individuals obtained by the Internal Complaints Committee (ICC) during the preliminary inquiry and copies of correspondences between an official and the president of the ICC. 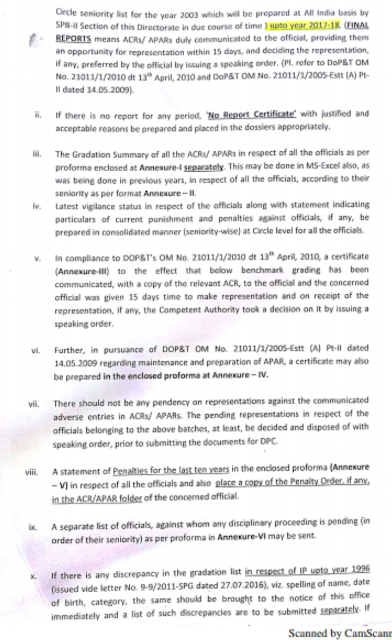 While the CPIO denied him the information, three documents were given to the appellant which included a copy of the order by which ICC, Mandsaur, was formed, a copy of order by which a particular member of ICC was placed on superannuation list and a copy of his retirement charge report. 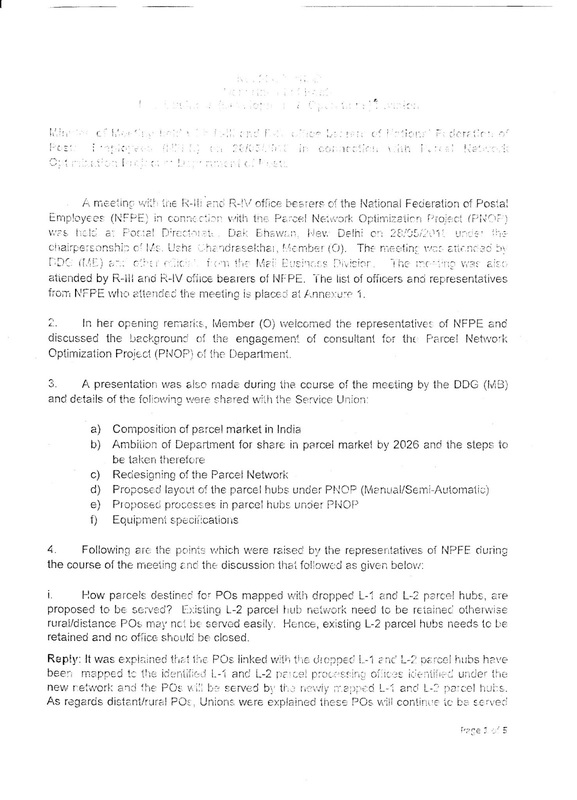 The CPIO also wrote to the appellant to pay Rs. 6 for a page. 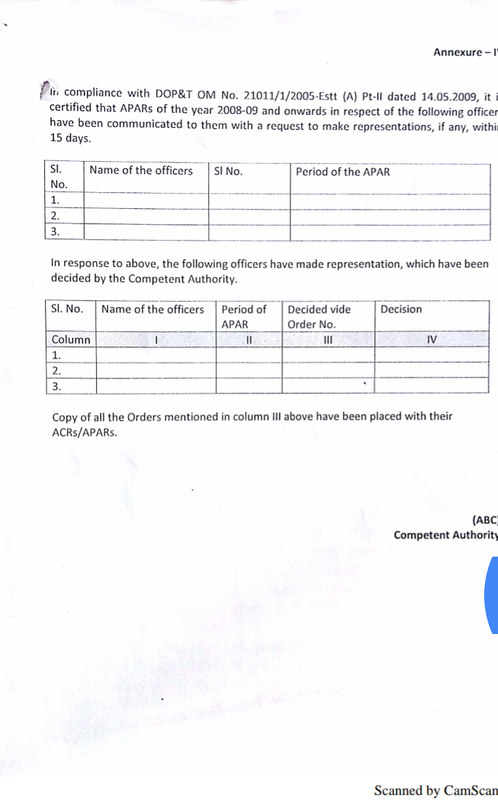 To the CIC’s surprise, the appellant was denied the other information by the CPIO citing Section 16 of the Sexual Harassment at Workplace Act, 2013 which is prohibition of publication of information to and by the media about the identity and addresses of aggrieved woman, respondent and witnesses during the conciliation and inquiry proceedings, and action taken etc. The CIC noted that “the provision does not mean that information could be denied to respondent-accused. Hence denial of information sought by the appellant is in clear breach of all above provisions of SHW Act of 2013”. 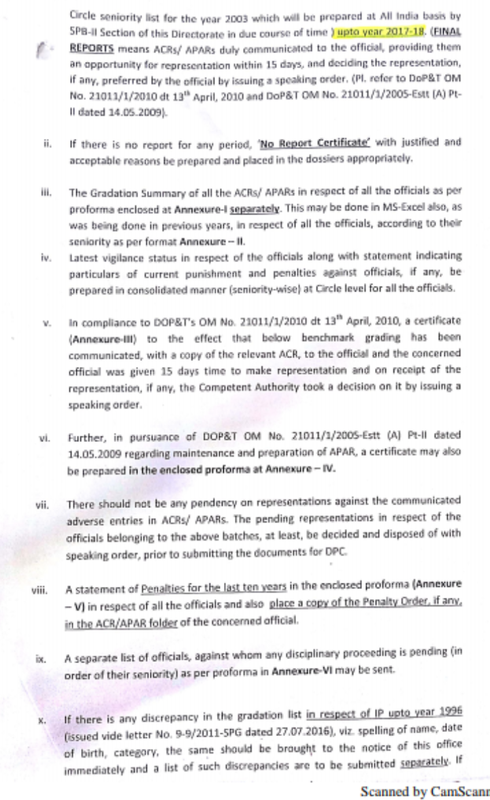 The CPIO also invoked exemption clauses 8(1)(d) and (g) of RTI Act to deny the appellant the information, which the CIC said, should have been given as per principles of natural justice, rules of disciplinary inquiry, Act of 2013, Rules made thereunder, official handbook of the Ministry containing guidelines for prevention of Sexual Harassment. The CPIO used exemption clauses under the RTI Act also. Section 8(1)(d) of RTI Act says; information including commercial confidence, trade secrets or intellectual property, the disclosure of which would harm the competitive position of a third party, unless the competent authority is satisfied that larger public interest warrants the disclosure of such information. Section 8(1)(g) says: information, the disclosure of which would endanger the life or physical safety of any person or identify the source of information or assistance given in confidence for law enforcement or security purposes. The first appellate authority also upheld the denial of information. The appellant moved the CIC saying as a charge-sheeted accused before ICC, the principles of natural justice demand that certified copies of all documents relating to the inquiry report, including copies of the statements of witnesses, should be given to him to facilitate him to substantiate his defence and for the conduct of the inquiry in a fair manner. How are statement of witnesses a trade secret? The CIC observed, “The CPIO neither explained nor justified how these clauses could be invoked in this case. He has not applied his mind at all. How the statement of witnesses and other documents relating to sexual harassment complaint could be considered as ‘trade secret’, ‘commercial confidence’ or ‘intellectual property’ of the third party or public authority? This is absolute absurdity. “The charge of sexual harassment is a serious allegation which if falsely made and proved by suppression of information to the accused, it can ruin the career of the accused, cause permanent and irreparable damage to the reputation and also disturb his domestic life affecting his relations with his wife and children. Society will look him down and people talk badly about him in his absence or some may even insult him openly. As per SHW Act 2013, he would be shifted, and he might even face criminal prosecution under IPC which in our country would span over a decade or more involving huge expenditure and going to courts for several rounds as an accused person. A false allegation can render his life a hell for the accused officer and if innocent, the officer might suffer serious mental torture also. It can destroy a person totally. The due process, principles of natural justice and legal provisions of the SHW Act of 2013 provide him a right to defend himself from allegation of sexual harassment, and the right to information to secure those related documents will strengthen that right”. The CIC also referred to various provisions of the CrPC and also the Sixth Amendment to the US Constitution which provide for an accused to be informed of the nature and causes of accusations and the right to cross-examine while being allowed to put the witness in his defence. It also referred to another recent judgment of CIC in M Dinesh v PIO, Bureau of Immigration/Intelligence Bureau, wherein it was held that it was a human right of the accused facing inquiry to have complete information. “By denying the information the appellant was not only harassed by the public authority, but also by the CPIO. 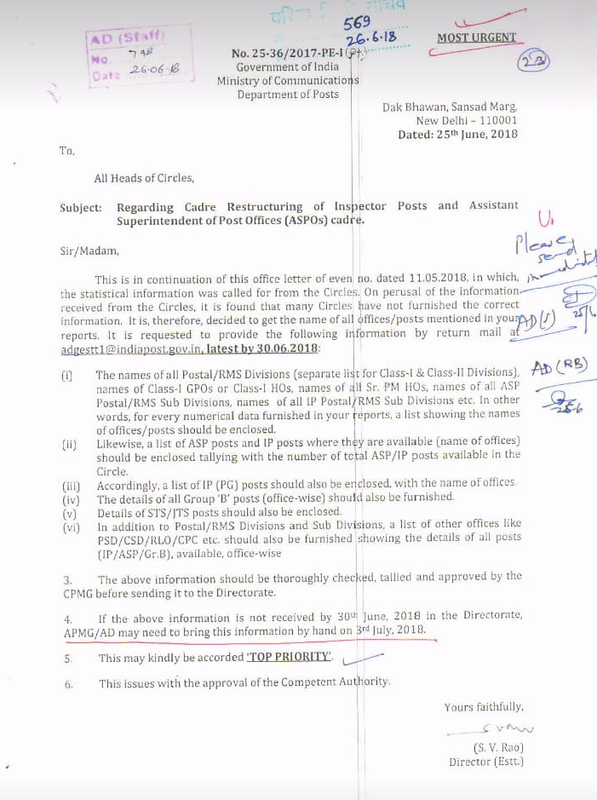 While public authority denied him the documents which he was entitled under SHW Act of 2013, the CPIO denied them under RTI Act besides wrongfully invoking Section 8(1) (d) and (g). It is absurd to think that copy of inquiry report and statements of witnesses could be ‘trade secret’, ‘intellectual property’ or of ‘commercial confidence’,” said Acharyulu. 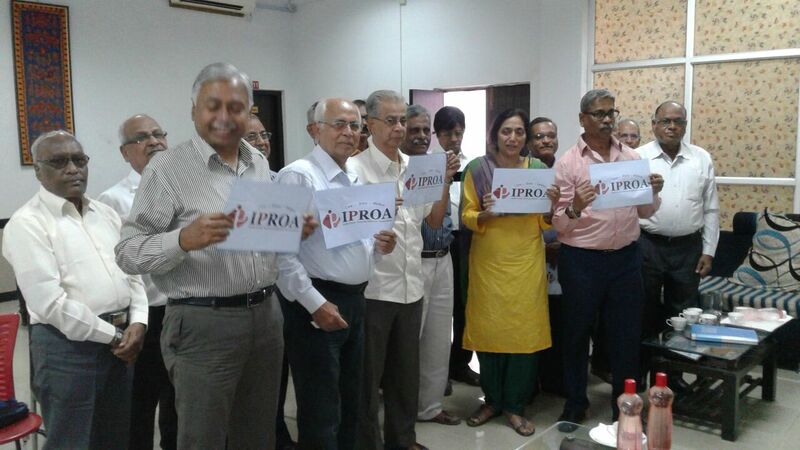 “The CPIO was penny wise when he demanded Rs 6 to give 3 pages. 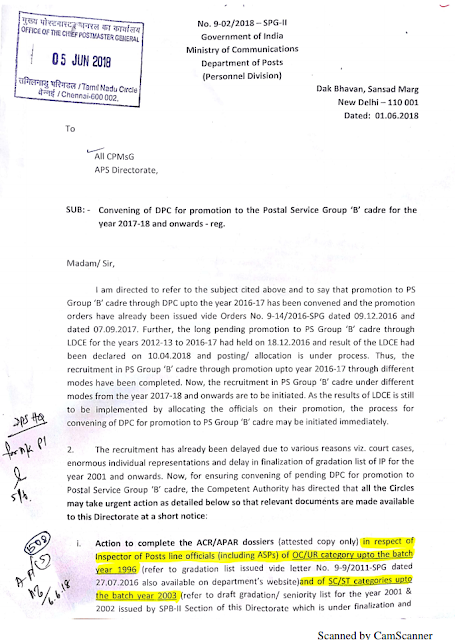 The CPIO might have spent at least Rs 15 to Rs 100 approximately (taking into account the time, energy, paper, typing or correcting mistakes, which is quite possible, and posting) to write a letter demanding Rs 6. If it is his personal money, no prudent man would spend Rs 100 for collecting Rs 6. Is it not wrongful spending of public money? If this CPIO is demanding money up to Rs 18, by spending Rs 20 to Rs 100 every day hypothetically, what should be the loss of exchequer per year? Even if the appellant positively responds and pays Rs 6 promptly, still the loss would be Rs 94. The RTI Rules say the CPIO can collect the copying fee at Rs 2 per page but do not authorize him to demand Rs 2 by spending more than that. This reflects at least, the harassing nature of the CPIO, which is surely a sign of malice,” said the CPIO. No person shall be appointed to a post without a medical certificate of health. 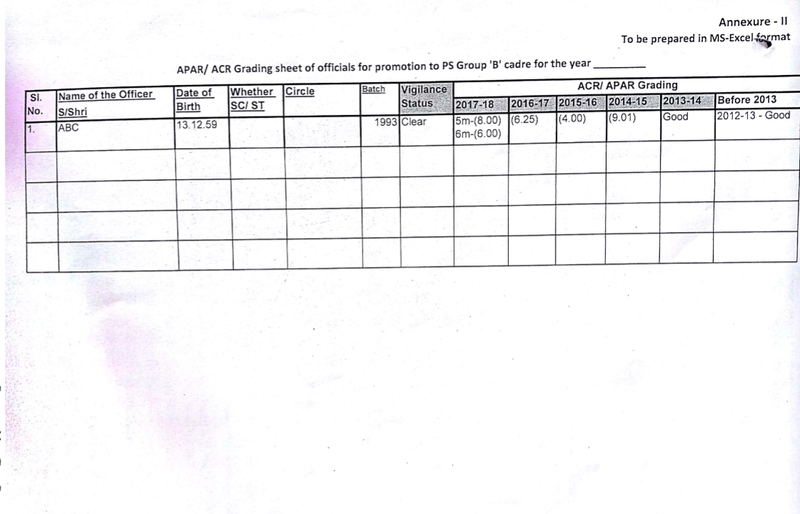 Fixation of Pay on the date of promotion One increment is added to the pay of the lower post. If the same pay is available in the promotional post, the same pay is fixed in the higher post. If the same pay is not available in the promotional post, the pay is fixed in the next level in the higher post. 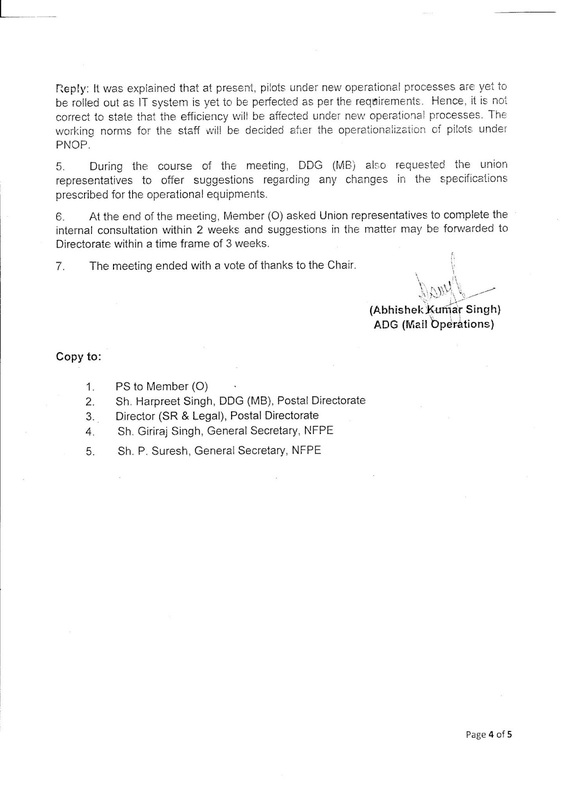 Date of next increment in the Revised Pay structure w.e.f 01.01.2016. 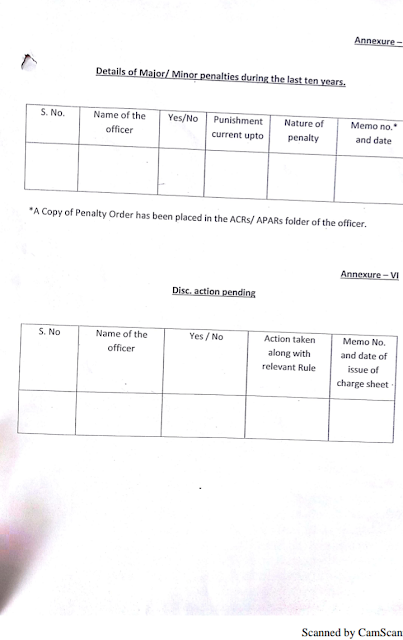 The officials for whose pay is fixed on 01.01.2016, will get next increment on 01.07.2016. 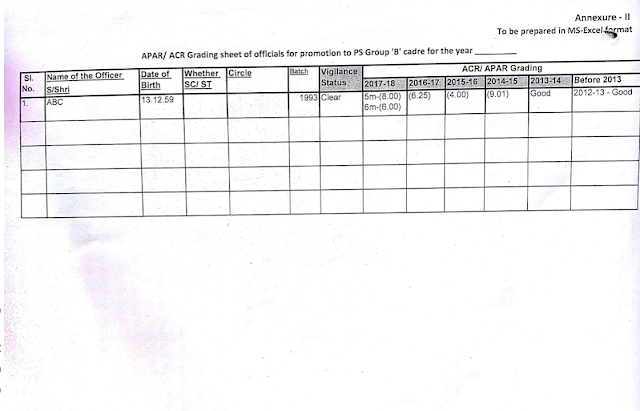 In case of appointment / promotion between 02.01.2016 to 01.07.2016 – next increment will be on 01.01.2017. In case of appointment / promotion between 02.07.2016 to 01.01.2017 – next increment will be on 01.07.2017. It will be increased not exceeding 50% of it, if the suspension is continued for the reasons not attributable to the Government servant. It will be reduced not exceeding 50% of it, if the suspension is continued for the reasons directly attributable to the Government servant.